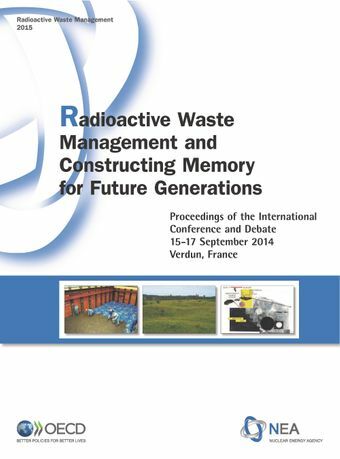 The Preservation of Records, Knowledge and Memory (RK&M) across Generations initiative was launched by the Nuclear Energy Agency in 2011 to foster international reflection and progress towards this goal and to meet increasing demands by waste management specialists and other interested parties for viable and shared strategies. The RK&M initiative is now in its second phase, which is to last until 2017. Phase I culminated on 15‑17 September 2014 with the organisation of an international conference and debate on "Constructing Memory" held in Verdun, France. The conference was attended by approximately 200 participants from 17 countries and 3 international organisations. Participants included specialists from the radioactive waste management area and beyond, academics in the fields of archaeology, communications, cultural heritage, geography and history, as well as artists, archivists, representatives from local heritage societies and from communities that could host a radioactive waste repository.